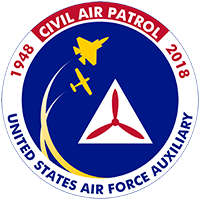 During the national awards ceremony held at the Civil Air Patrol’s national conference in San Antonio on 2 September 2017, three members of the chaplain corps received honors as the “best-of-the-year” for their specialty. 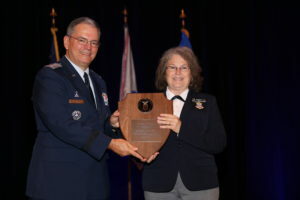 Chaplain (Lt. Col.) Adma Ross, Connecticut wing chaplain, received the “Senior Chaplain-of-the-Year” award. Chaplain (Captain) Ivan Peacock, from the Tennessee Wing received the “Squadron Chaplain-of-the-Year” award. Captain Carla Warnock, a character development instructor from the Virginia Wing, received the “CDI-of-the-Year” honors. All the awards were presented as the last function of the national commander, Major General Joseph Vazquez. 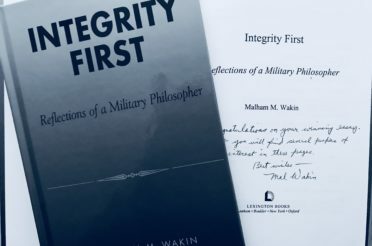 The citations from the units that nominated these outstanding contributors are presented in their entirety here to show the breadth and depth of the service these members gave to their units and their communities. The Chief of Chaplain Corps and all members congratulate these outstanding examples of the volunteer service and excellence that the corps strives for in all that it contributes. 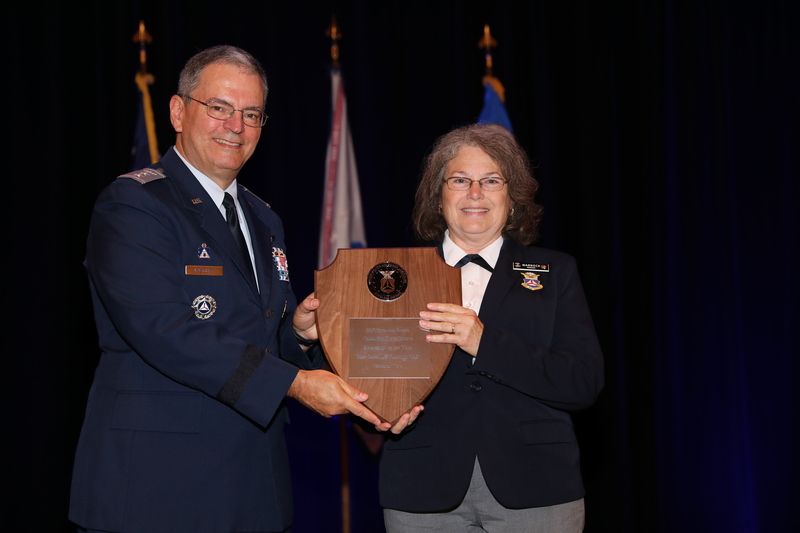 Chaplain (Lt. Col.) Adma Ross received the “Senior Chaplain-of-the-Year” Award from the national commander. 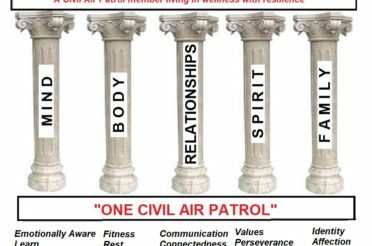 Chaplain (Lt Col) Adma Ross has been a chaplain in the Civil Air Patrol since the day she joined in 2002, she began her career as a squadron chaplain and today is one of the most recognized and well respected chaplains in the Northeast Region. Chaplain Ross has not just limited her skill set to the wing but also to the Northeast Region. This past year Chaplain Ross increased the number of Connecticut Wing Character Development Instructors (CDIs) significantly and has been instrumental in working with the subordinate unit chaplains and CDIs at both the group and squadron levels. 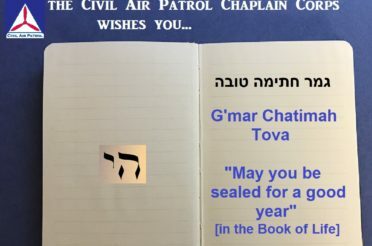 While recruiting new chaplains is a challenge most wing and region chaplain’s face Adma never stops trying to encourage clergy of all faiths to join CAP and despite the fact no new chaplains joined this past year because of her efforts the wing is expected to increase their chaplain numbers by one in 2017. Chaplain Ross continues to devote many hours mentoring the chaplains and CDIs in the wing. For the past several years Chaplain Ross assumed the role as Head Chaplain at the CTWG Encampment each summer and plans to perform the same function in August of 2017 her contributions at the encampment have been invaluable and made the encampment commander’s job much easier. During these encampment’s she worked it out so that all those who wished to attend religious services regardless of their faiths were able to do so, she counseled numerous cadets and senior members and made a real difference in their lives and she has done since 2013 while taking a short hiatus to attend the chaplain seminars at the national boards and then return to the encampment. 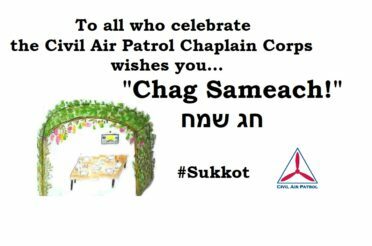 She remains attached to the NER as an assistant reg ion chaplain and assists with the NER Chaplain College held at the Joint Base McGuire-Fort Dix-Lakehurst in NJ. Lt Col Ross advises the wing commander when requested, mentors the wing chaplains and character development instructors and makes herself available to any member who seeks out her advice or help. Adma does all of these things while remaining a chaplain at New York Presbyterian Hospital. Chaplain Ivan C. Peacock is one of those special individuals who has the desire to serve the Civil Air Patrol as a mentor and encourager to both Senior Members and Cadets on a consistent and faithful basis. He continues to build upon a foundation of ministry that began early in his life as a minister as well as a missionary in an overseas location. 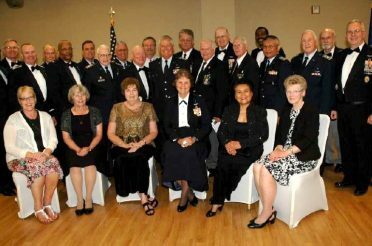 While many individuals may chose to rest on their past accomplishments and retire, Chaplain Peacock became a member of CAP at the age of eighty. He has served with distinction over the past twenty years and just recently celebrated his one hundredth birthday. Members of his community and leaders in the Southeast Region, CAP, attended and recognized him for his leadership. Chaplain Peacock attends those important events in the life of CAP. 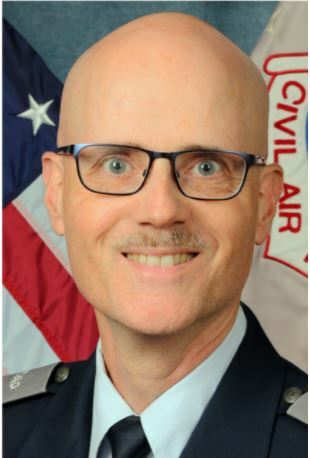 The Southeast Region Chaplain Corps Staff College held at Moody AFB, Georgia is one such meeting that he attends where he participates in the class projects and exercises. His presence gives inspiration to others who enjoy learning from his experiences as a Chaplain. Chaplain Peacock looks beyond the local and regional meetings and participates in the National events. He attended the National CAP Conference held in Nashville, Tennessee 11-13 August 2016. He participated in the breakout sessions and was among those who gathered for the worship service held during the National meeting. Chaplain Peacock is ever on duty to care for the members of the Sumner County Cadet Squadron. He presents the Character Development Instructions to the cadets which is held the third week of every month. Everyone in attendance looks forward to that time when they learn about the CAP Corps Values from one who lives by them. Other Senior Members have remarked how that they appreciate being in his presence and being encouraged by his leadership. 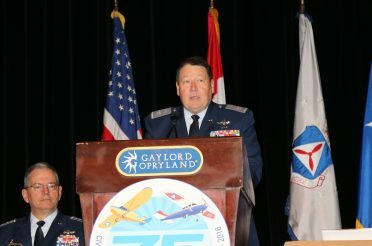 Chaplain, Lt Col Ivan C. Peacock is an outstanding member of the Civil Air Patrol who has brought credit upon the Tennessee Wing. 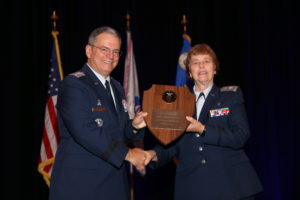 Captain Carla Warnock receives the “CDI-of-the-Year” award from national commander of Civil Air Patrol.